NOT "In the beginning" BUT "Creation Duplicates Creation"? Notice that the 1st and 3rd three letter groupings are identical. Also notice that on a 22 letter Hebrew alphabet.. that we are dealing with the beginning and ends of that alphabet for the most part. The traditional translation has the first 6 characters and next 3 grouped in 2 word groups... brasheeth, bara. Bonnie Gaunt suggests that if you divide it into 3 word groups you get "Creation, SIX, Creation". I dare take this even one step further by looking at the "SIX"th character and switching it with the 5th character. This makes more linguistic sense and it ties in the two identical triplets together. Doesn't it? The next posting I will show why I found a good mathematical reasoning to swap the 6th and 5th characters in the sequence. Notice the Fibonacci sequence starts in the middle.. but falls apart on the 5th number in the sequence. Instead of 1,1,2,3,5.. you get 1,1,2,3,6.. Here is the graph of the revised index numbers which resembles the graph of the fibonacci sequence approaching PHI as it moves into infinity perhaps. What does this have to do with Edward Leedskalnin? Well.. start at the first paragraph of Magnetic Current on page 3 and count the number of lines that touch each margin.. as Edward Marlinski suggested. Now bear in mind the sequences above. The left margin follows the Prime numbers and the right margin follows the Fibonacci Sequence with a shift of 1. Also, look at Ed Marlinski's book on page XIV. You will see basically the index numbers between 1 and 7 and indented you will see 2 paragraphs of 6 and 5. If you look at the twin page on page 15.. What in other threads I refer to in cipher as SARAH and HAGAR pages.. then you will see a resemblance to the Fibonacci sequence.. except instead of a 3.. you have two 2's and 1's on each end.. and you have a 12 rather than 13. The fib sequence is everywhere in both ED's works. The ONLY thing not perfect about the fit is the 10.. rather than the 11. But interestingly enough, if you double the 10 to 20.. you get the gematria of the 11th letter.. kaf or 20. So, you add 1 and also add 10 at the same time from yod to kaf.. 10 to 11 or 10 to 20. The lines of text within double lines is 1,10,2...and BRA.. first 3 letters of the Torah.. is 2,20,1....... so you see you do what the words say if you swap the 5th and 6th letters around from sheeth to shatee.. from SIXTH to DUPLICATE. BARA is CREATE. EDL seems to equate the process of Creation Duplicating Creation in the creation story of Genesis with Magnetic Current, Magnetic Base, and a mathematical pattern of numbers. EDL also marks these 2 EDENS on his south wall with Altars... if you count the numbers of stones... he marks the middles of the two EDENS and the 11th stone between them. New money is good for building new things. 8000 words.4000 paired or 2000 per booklet? Cicada's have a 17 year cycle. Do you know the other two prime numbers multiplied? Got told "your a smart guy figure it out"
Got handed a puzzle made in 1997. 3141 piece's to this puzzle. Three main pieces, the new York taxi being the smallest. The other two sections were divided between the world trade center. On the taxi notice anything? Reverse 254 is a interesting pentagon document. Do you count 98 words in the ten lines? Has me baffled as there is plenty of space on the next line. Address to makes 100 or ten by ten.for some reason every time I look back at that ad I see south in the middle. Fifty words was right before send one hundred pennies..ten dimes for ten lines. What is postpaid? He pays for the postage out of his dollar? Plus printing costs so how much did he gain selling each one? He had money hidden in plain sight. His sun dial still works. Something's they fail to teach you in school. Ten years ago I was terrified by electrical current. Now I just have a healthy respect for it. Now I realize what you can't see can kill you. Have you ever seen a movie called "the computer wore tennis shoe's"
657 is the area code for Ohio. I noticed you have repeating numbers in your database. 667 is in multiple spots along with 551. I see what you did. Row# times column#? For some reason reading a small screen I over look things. Now just make files like file3,file5,file7 then you will have the cube I call it. Like a rubix cube. Haven't had a actual computer since 2012. Borrowed a laptop in 2015 when I did the big book of numbers. Didn't know what else to call it. What do you call every combination of nine numbers? You want me to get you a computer? Someone like you needs one I say. The blue area is New York State; the red area is area code 845. Area code 845 is a telephone area code straddling the Hudson Valley region of the U.S. state of New York. 845 serves Rockland, Putnam, Orange, and Ulster counties, and parts of Dutchess and Sullivan, Delaware, Greene, and Columbia counties. Area code 845 was created on June 5, 2000, from most of area code 914, which was retained by Westchester County. It is the only area code to serve communities in Both Upstate and Downstate NY. What do you call every combination of nine numbers? I guess it depends if the order matters. ..but apply the associated primes or index numbers. I wonder if we can come up with a standing wave yin/yang pattern that you seemed to show with the 7 and 13 cycles. Yeah, I know where 845 area code is. All too well. That's strange that you would put that there. 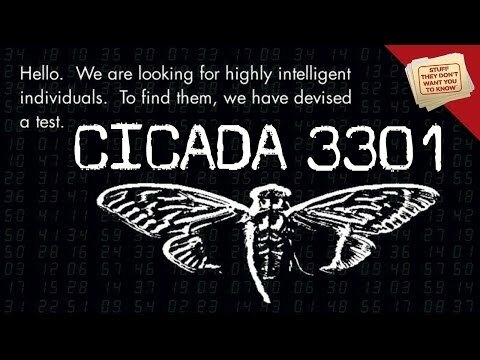 Not really.. it was the number in that Cicada 3301 video above. The video said that you get a number when you multiply the 3 primes in the video...which one was 3301. He asked me the other 2.. which was very easy to find when it showed the final number.. and I simply divided the number by 3301 and left with another number. I then just had to find which 2 primes multiplied together give that value. I do that sort of exercise all the time with every possible combination of a list. But what I don't get is it's a 9 digit number.. but normal telephone is 10 numbers with area code. So, don't know what to make of that. It's more or less a strange coincidence. That's all.